Early Music Month Celebration - March is Early Music Month and we’re having a special concert to celebrate! We’ll be playing music by two very well known baroque composers and two lesser-known composers. 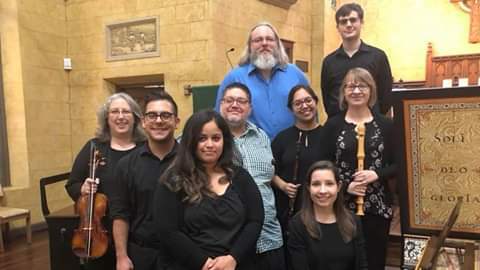 This concert is FREE to help spread awareness and enjoyment of early music in San Antonio. Music by Telemann, Vivaldi, Brescianello, Motta and Loeillet.